This amazing Oriental-Spicy offering from the house of Tiziana Terenzi is one of the best refined and complex Ambery-based fragrances in the market today! Top Note: Wormwood, Cognac, rosemary, tobacco, myrtle and amber. Heart Note: Red Rose, sandalwood, cedar, ash, slate, black locust honey & Iris. Base Note: Musk, vetiver, oak, camphor, incense, vanilla, oud, labdanum and laurels. 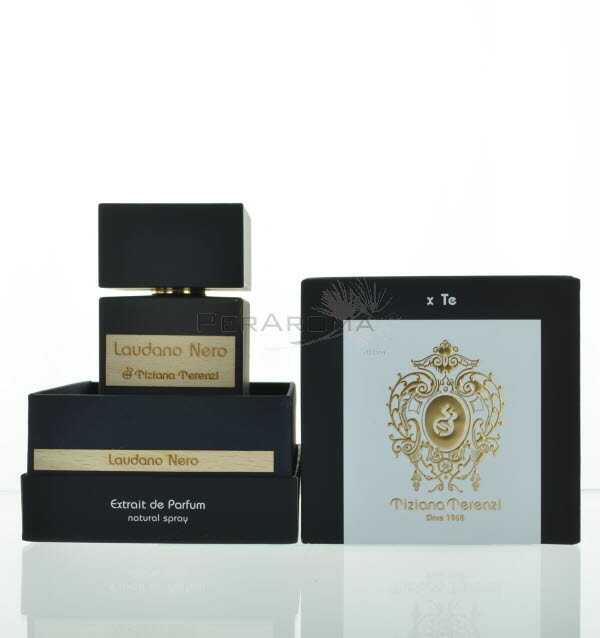 Laudano Nero – An oriental spicy fragrance for men & women, intriguing, strong, opulent and sophisticated. A warm smoky sensual & mysterious scent for those daring and confident individuals. Suitable for evening-wear and colder seasons. A must have for the amber lover!